Intelligent Servers has been helping Small Business with computer infr astructure needs in and around the Maryland and Washington D.C. corridor since 1999. Being an authorized DELL, HP and IBM reseller, Intelligent Servers has implemented state of the art multi-office solutions tailored to a variety of industries. These solutions permit these companies to share files, images, and do real time task management whether in one or multiple offices as well as home offices. 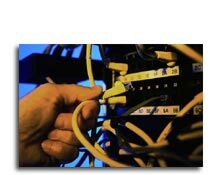 Intelligent Servers has extensive experience in the design, implementation and maintenance of Local and Wide Area Networks (LAN’s and WAN’s). With the ability to analyze telecommunications equipment, we can identify if a cost savings can be realized by implementing a Broadband Internet Solution. Intelligent Servers focuses on installing, modifying, and upgrading computer hardware and software items. This includes optimizing computer system operation and customizing the system for users individual needs. Network management, systems administration, network backups, as well as support, including help desks, will be based on each company’s needs.